Total Home Environment are vey excited to be so close to the amazing Graven Hill development site in Bicester. We are one of the vanguard suppliers, having our systems installed within four of the first 10 homes being filmed by Grand Designs. Graven Hill is a development site with a difference - 1,800 plots of land for sale with the opportunity of building anything from a first home in detached, semi-detached or mews style, a rural family home or a retirement home to downsize to. An old MOD site, Graven Hill has a beautiful landscape which includes woods and wetlands. The Graven Hill Development Company (GHDC) have ensured that the Masterplan makes a proper community, rather than just rows of boxes. There will be a pub, school, community centre, green, cycle paths, play areas, allotments and other opportunities for businesses to accommodate a cafe, other small retail and office projects as well as perhaps a pre-school unit. The GHDC are encouraging cutting-edge design as well as the use of energy efficient materials, which is where Total Home Environment comes in. 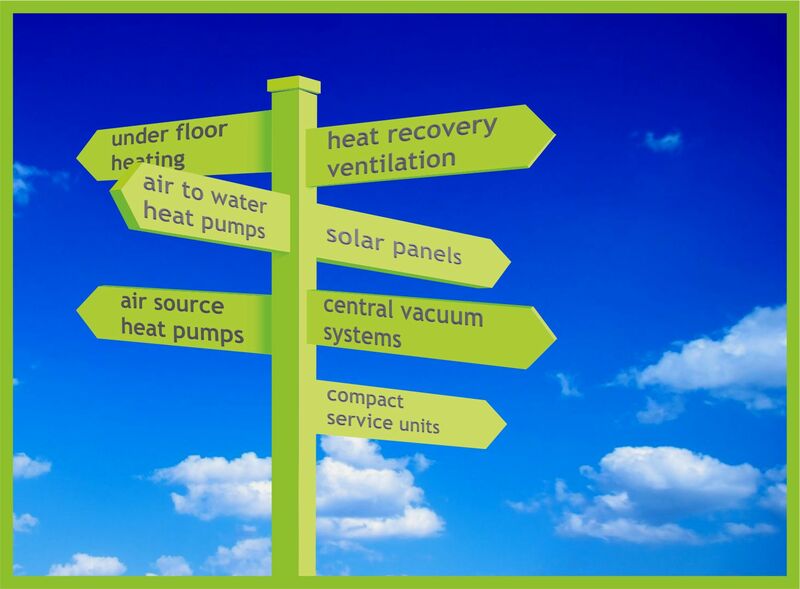 design, supply and install air to domestic hot water heat pumps. 3D CAD designs (so that the ventilation and vacuum systems are designed with the most efficient routes and materials). There are various routes to purchase a plot of land at Graven Hill and you can do as little or as much of the work yourself. Total Home Environment will support your heating, ventilation and cleaning needs all the way through your project. Do go and visit the Graven Hill website for more information on the current availability on plots and the criteria which you will need to meet in order to reserve a plot. Good luck!